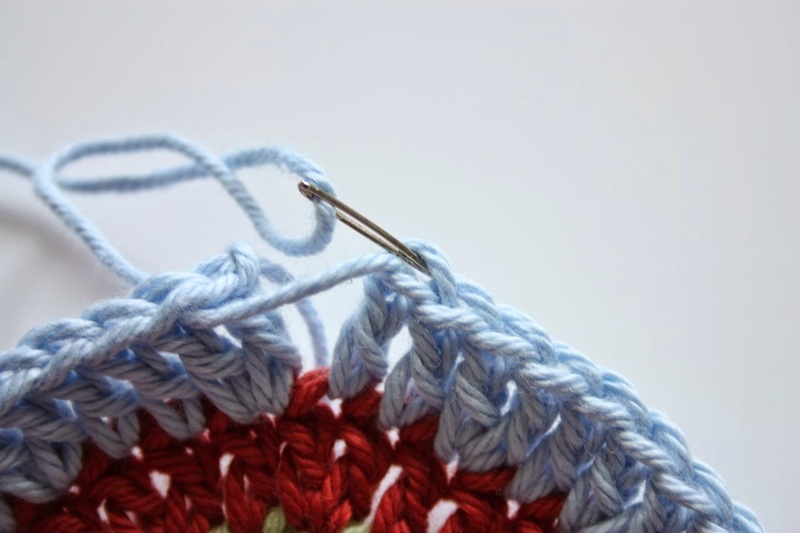 This is a great way to get rid of that little bump a slip stitch makes when you join the beginning and end of a round together. 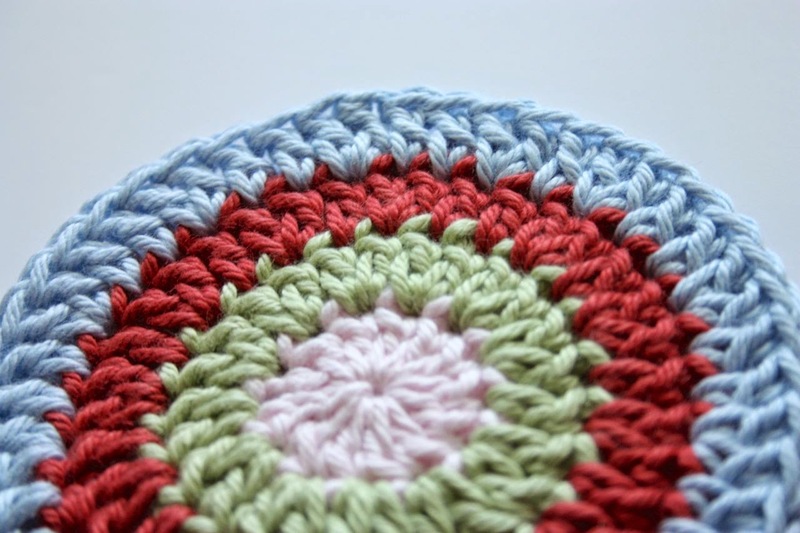 Used together with Standing Stitches, this technique will make your rounds one glorious circle and you won't be able to tell where the rounds begin or end. 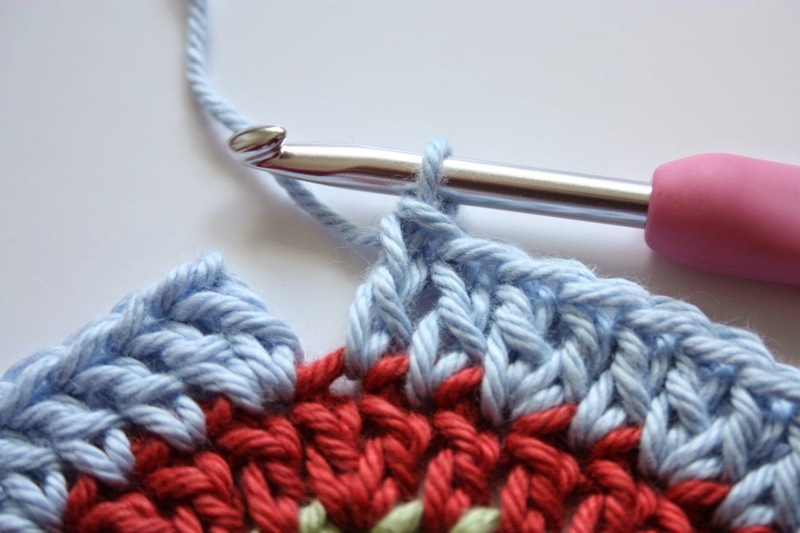 Work all the stitches you need to, up to the point where you are ready to make a slip stitch. 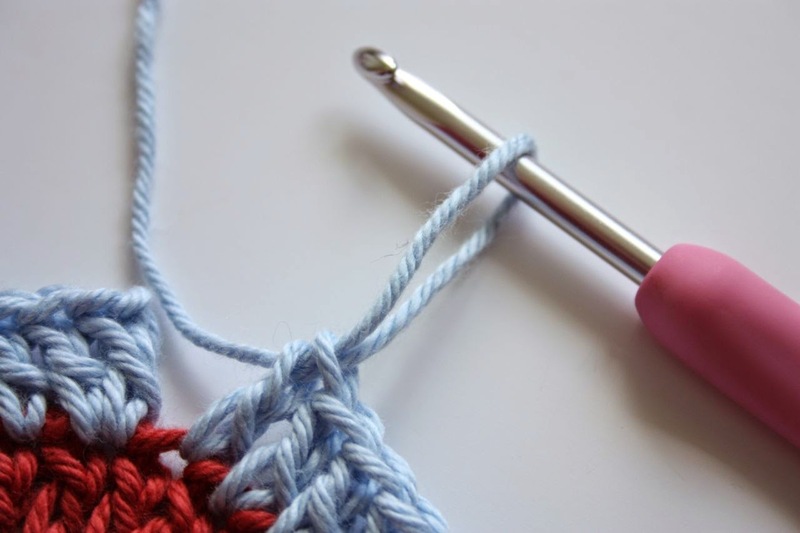 Then, instead of making that stitch, cut the yarn and start pulling the loop on your hook up so that the yarn end comes up through the stitch. Thread a yarn needle onto the yarn end. What we're going to do here is effectively make a 'fake' stitch. 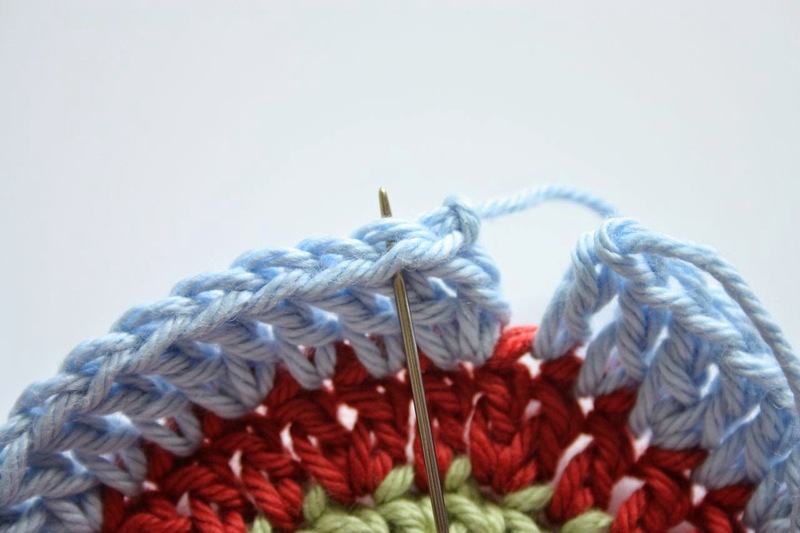 So, because we don't want to end up with an extra stitch you want to ignore the first stitch of the round. In the picture I've used a Standing Stitch to start so I'll insert my needle into the second stitch just like I would with my hook. 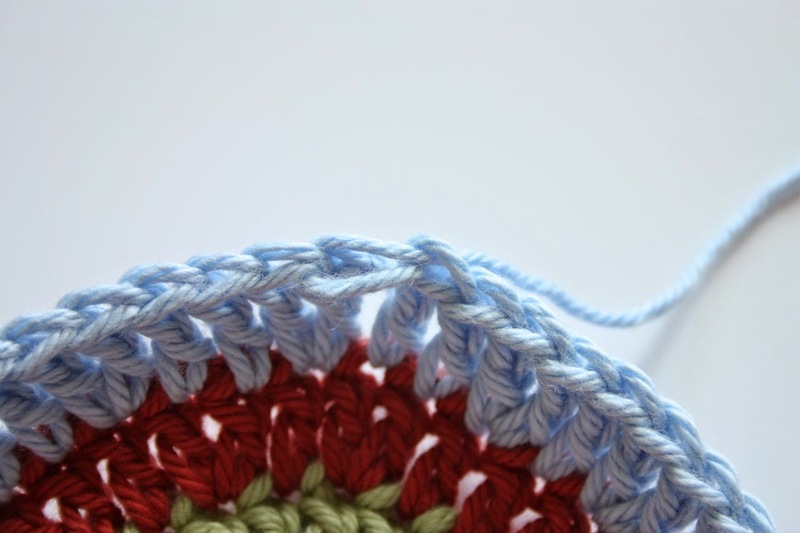 Pull the yarn through and then insert the needle into the top of the last stitch of the round and out of the back, just like you would if you were working into the back loop only. 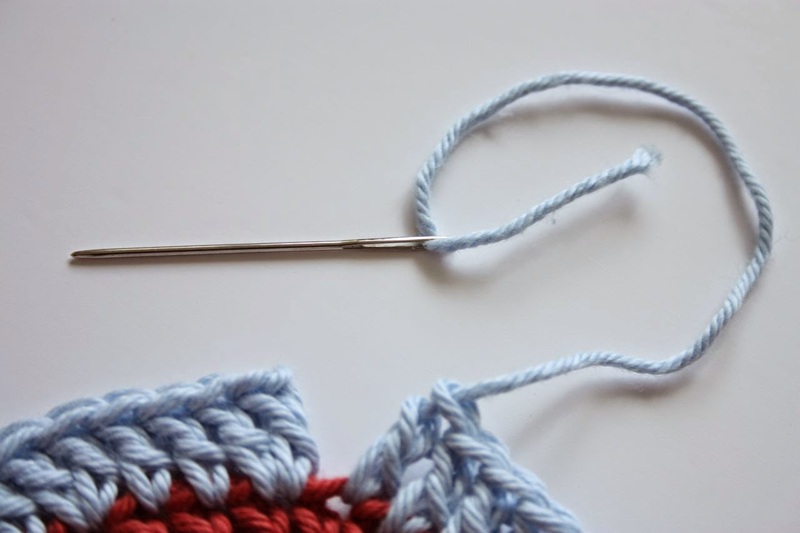 Pull the yarn through and gently pull on the end to tighten it up. As you can see, it's starting to look the same as the other stitch tops. When you've finished the 'fake' stitch that we've made should sit nicely over the first stitch (or chains) of the round. 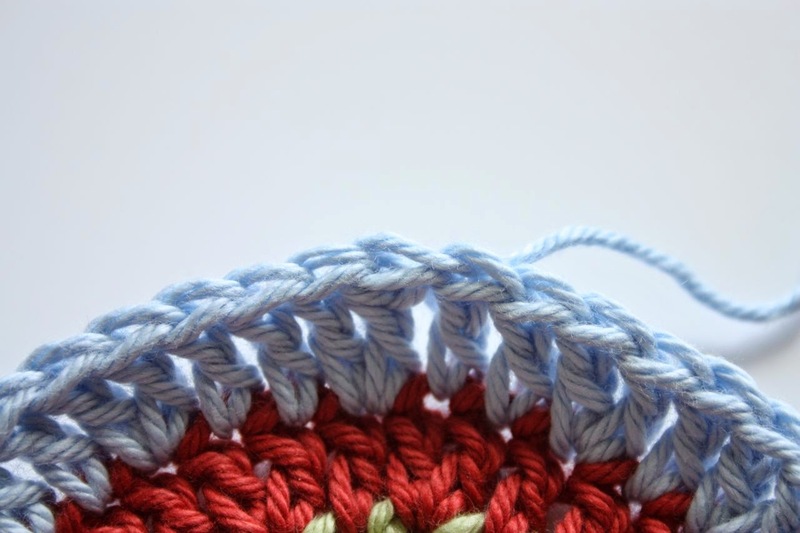 Take a minute to weave the end in and then, you can work into this stitch as you normally would for the next round. 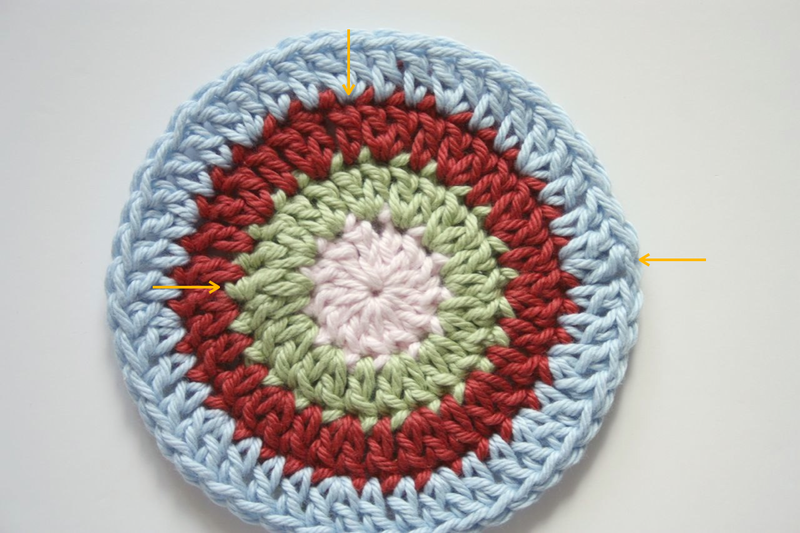 Here's how the circle looks using Standing Stitches and Invisible Finishes, as you can see, it's pretty hard to see where the rounds begin and end. 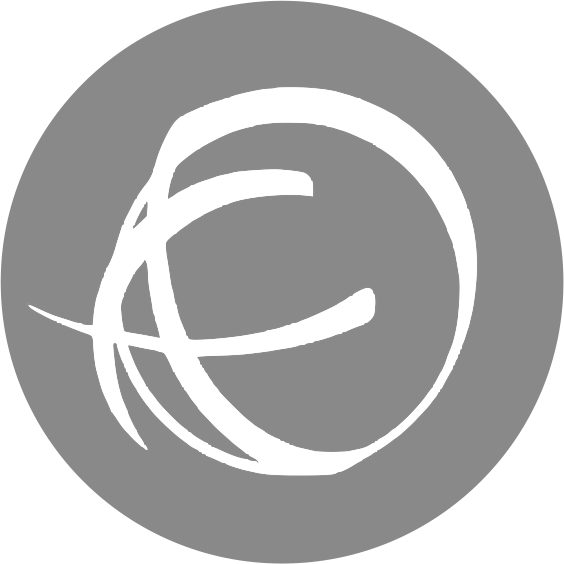 You can even stagger the starts to make it even harder for the eye to find them like I have in this example.